Comments: One of the most popular and versatile of the gingers, it will produce large clusters of white and red flowers if the foliage is not killed by freezes. It will flower when grown as a container plant and protected during the winter. It always flowers where it is grown in freeze free climates. 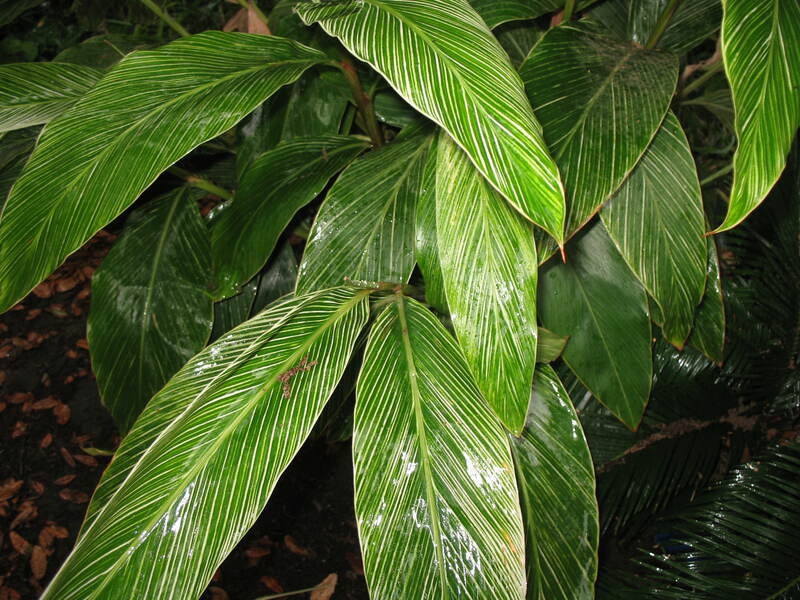 Produces a distinctive foliage that is popular for floral arrangements.